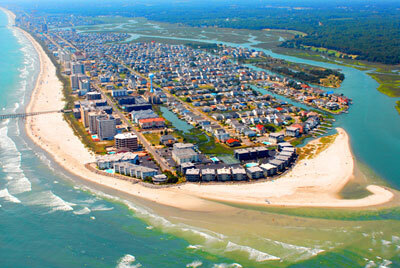 North Myrtle Beach has many great attractions for everyone of all ages to enjoy. Our properties are near many of them including Alligator Adventure, Barefoot Landing, Tanger Outlets, and the House of Blues. We are home to Fat Harold's, the famous Shag Dance nightclub, learn to dance the official dance of South Carolina. Your family will also enjoy wholesome entertainment at Carolina Opry featuring a variety of music and comedy, or you can visit the exciting Pirate's Voyage. There is also horseback riding on the beach, fishing excursions, dolphin watch cruises and so much more! Though all our units are not directly on the beach, they are all within walking distance to the beach. We take great pride in our units by keeping them updated, and cleaned on a regular basis. When you vacation with Myrtle Beach Vacation Stations we want you to feel like our property is your home away from home! Feel free to contact us with your vacation dates for available properties or price quotes! Don't forget to like us on Facebook and follow us on Instagram for the latest updates!